A bare room. The walls are seemingly made of cold stone. The lighting is low, the darkness overpowers the image, which director Kevin Pontuti has created at the beginning of his new short film Vanità (2017). The image itself could be mistaken for a medieval still life, a painting that represents the dark ages that have left their indelible marks on our present lives. Pontuti, a visual artist first and foremost, uses his skill to merge the art of film with the specifics of a still life painting in this film in order to strengthen the concepts of dark- and coldness, and which foreshadows what is to come. Pontuti creates an almost palpable soundscape at the beginning, a soundscape that makes the scene come to life. One could think, believe even, that one is part of the film, standing there off-screen and looking at the old wooden table. The result of the director’s sound design is an immersive nature that cannot be shaken off throughout the film’s duration. Vānĭtās – emptiness – permeates every scene of the film. 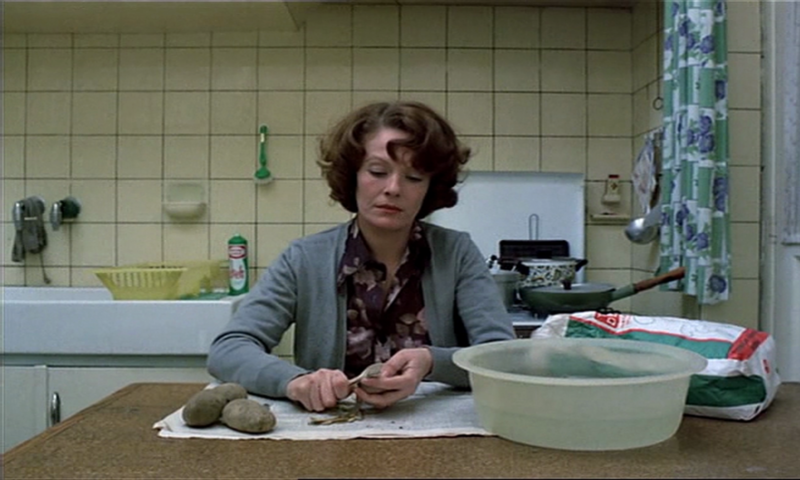 It is not only about the utter scarcity of the mise-en-scène. There is also the actual process of emptying oneself. This is primarily metaphorical, as is often the case in Pontuti’s work. In Onere (available on tao films), for instance, this metaphor is one that symbolises the burden of identity, the burden of the I, in the form of a shapeless, and yet almost human-like “package” that a woman carries through the woods under extreme efforts. In Vanita, Pontuti is more explicit in his representation, but he remains faithful to his approach of not showing. Rather, his work demands of the viewer to interpret, to read, the frames he has constructed. What underlying meaning is there in a woman pulling hair out of her mouth? Is it an extension of Onere’s burden, a burden one wants to rid oneself of? Why does this woman, previously calm, brushing her hair, vomit excessively only to then return to complete normality as though nothing has happened? Is there a meaning? Pontuti’s latest instalment of his Poetry of Penance series represents strongest the sentiments of horror, of darkness, even of violence, albeit not explicit, that the viewer might associate with the Medieval Ages. What remained under the surface in Onere comes to the fore in Vanità. The horror of the unexplainable, of the mysterious, is the core of the director’s representation of vānĭtās, which comes to life through the strong acting of his regular lead actress Alexandra Loreth, who lives her role despite all the horrors that comes with it in this film. More than perhaps his previous works, Vanità asks one to reconsider the idea of film. Pontuti has created a cinematic piece that challenges our belief that films must be seen in cinema, by seemingly merging static and moving image art. Vanità is more than just a film. With the help of utter simplicity, it creates strength and challenges, and poses questions that are not always easy to answer.